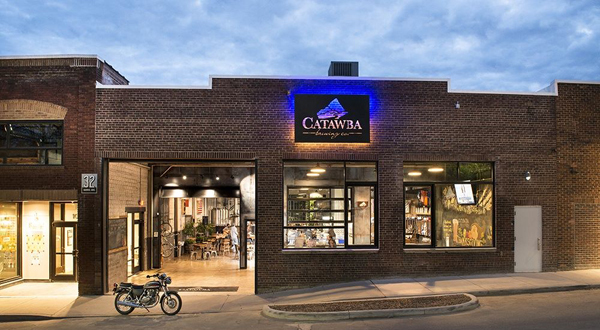 Sept 1st: Catawba Brewing unveils a new nitro tap at their Asheville South Slope tasting room. The first beer to get the nitro treatment is the small batch English Mild, brewed on location. Nitrogenated beer has smaller, denser bubbles compared to CO2 carbonation, which produce its characteristic fluffy white head and creamy mouthfeel. Nitro beers were popularized by breweries of the British Isles, often lending complexity to malt-forward beer styles. With Catawba’s English Mild, the added creaminess complements its sweet chocolate flavor notes and light toasty character, yielding a flavorful full-bodied beer at only 4.3% ABV. Look for other Catawba beers to rotate through the nitro tap in the future. Summersville, WV, the festival is famous among paddlers as American Whitewater’s biggest fundraiser, with proceeds supporting river conservation nation-wide. Gauley Fest features live entertainment, a whitewater marketplace, and silent auction for outdoor gear. True to style, Liquidlogic Fest Bier is a full-bodied deep copper lager, rich and toasty, with medium hop bitterness and 5.3% ABV. Available only in Catawba’s three tasting rooms (Asheville South Slope, Asheville Biltmore Village, and Morganton) and at Gauley Fest. Located in Fletcher, NC, Liquidlogic has been creating superior quality kayaks in whitewater and crossover paddling since 2000. Now manufacturing out of a state-of-the-art, energy-efficient factory, Liquidlogic has distribution centers in Europe, New Zealand, Japan, and Russia. Started in 1983 to celebrate the derailment of a hydro-electric project that would have disrupted the flow of the Gauley River, Gauley Fest has grown to become the largest paddling festival in the world.